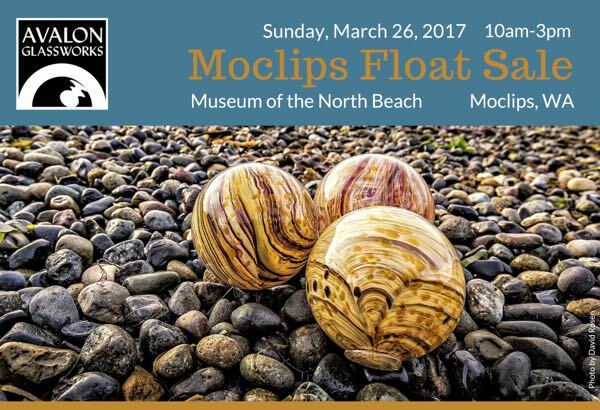 Meet us in Moclips, WA on Sunday, March 26, 2017 for our annual float sale to benefit the Museum of the North Beach. This year’s Moclips Edition Float is called “Agate” and has amber and dark red striations. See past year’s floats and get more info on the event.